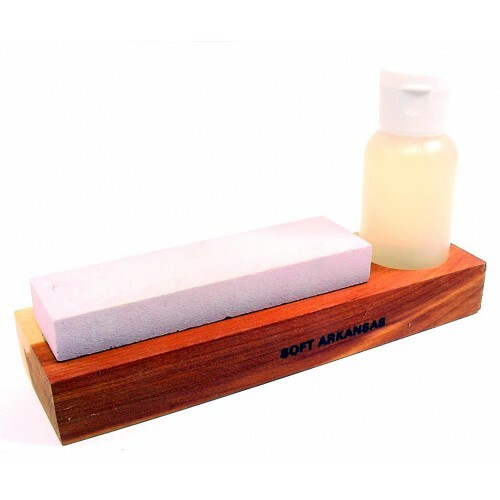 4" Medium Grit Arkansas Whetstone with 1 oz. Honing Oil. Supplied with Cedar Wood Base for convenient sharpening of knives and tools.